The process of losing weight is just as much about being mentally prepared to do so as it is being physically capable of the exercise process. While the notion of being physically capable of a weight loss program should be an obvious observation to you, the need to be mentally prepared may be a little more hazy in both definition and practice. In most successful cases of weight loss, it is likely that one main contributing factor to the success was a proper state of mind going into the process. But, how does one get there? First, don’t look at yourself. Rather, look at those people around you and think about the influences they are capable of having on you. For example, if you plan on going on a very strict diet, you need to make sure that your friends, or anybody else that you spend large amounts of time with, understand the commitment that you are about to make. The truth of the matter is that your lifestyle change may ultimately force them to alter the day-to-day activities in order to not influence you bad dieting behaviors or habits. Second, you need to quickly realize that this entire process is not going to be a walk in the park. This is a diet. And it is going to be difficult. In order to have any chance of having a successful weight loss plan, you need to accept this reality as quickly as possible. The sooner you come to grips with the idea that this might possibly be the toughest thing you ever do, the sooner you will begin to see results. Additionally, don’t expect to see immediate results – which ties us into our third and last point about being in the proper frame of mind. As mentioned, weight loss is not an overnight sensation. It could take a week, or a month, until you start to see visual changes within your body. 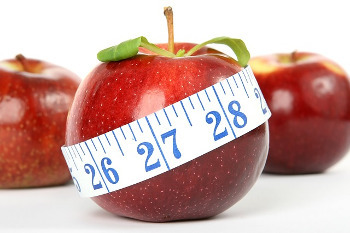 Unfortunately, many people, after not seeing definite results within the first couple days, ditch the diet with the accordance that it just isn’t work. This couldn’t be further from the truth. And, obviously, these people who give up so quickly are the people who were not mentally prepared to begin such a weight loss plan. When it comes to dieting and a concrete weight loss plan, the saying “the best laid plans of mice and men” is so true. You could plan out the absolute best workout regimen but, without the proper groundwork to prepare yourself not only physically, but mentally, you “best laid plans” will ultimately turn into failure. This, however, does not mean that a diet will not work for you. Proper nutrition and exercise, doubled with the right mental conditions and understands, will spell success for anybody entering a plan to lose weight.